So. Again. It’s been much too long. I feel like that’s the song I always sing. But, life gets ahead of you. Plans change. Seasons change. And before you know it, almost a year has gone by since you’ve done a single, solitary blog post! I’ve been doing some thinking in my brain (it’s really hard to make sense of what goes on there sometimes). I’m thinking about evolving the blog a bit, which is why it has gone untouched for awhile. Also, my dinosaur of a laptop died. 😦 Wahhhhh. A new one will hopefully be on the list of purchases for the next few months. There is good reason for this post today. The cake – immaculate. It looks soooo good. It tastes even better! I couldn’t let another recipe go by, unposted. Especially this one. 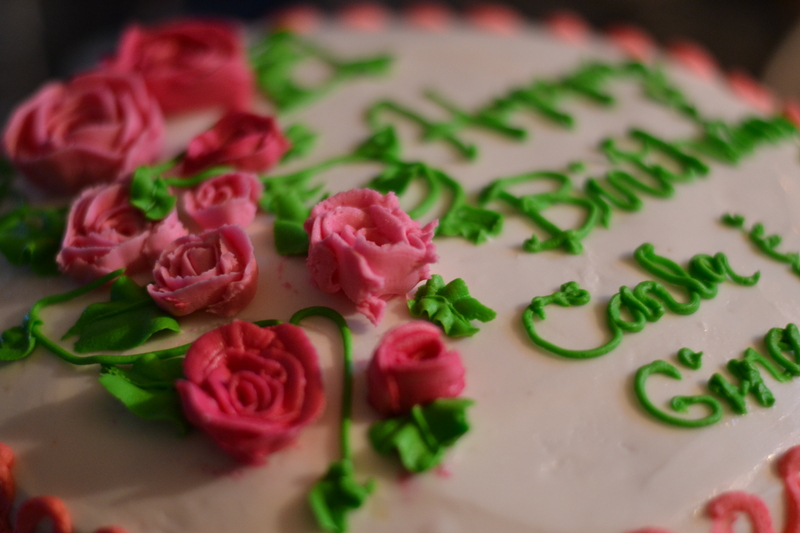 Cake is kind of pound-cakey. With a hint of lemon and lots of little poppy seeds, making for wonderful crunch. The frosting! It is smooth and sweet (like super sweet), with a haskap berry tang. There’s your lesson pour la jour. This recipe has been adapted from a recipe by Oh Honey Bakes . Preheat oven to 350F. Grease and flour two 9-inch cake pans. Beat the butter and sugar together until they’re nice and fluffy (and yummy). Add the eggs, two at a time, and beat well. Add vanilla and lemon juice. Mix together dry ingredients. Alternate buttermilk and flour mixture, and mix until batter is light and soft-looking. It’s really as easy as that! Bake for 20 minutes, and then check every 3 minutes for up to 12. Let cool in the pans for 10 minutes, and then turn out onto a rack to cool completely. 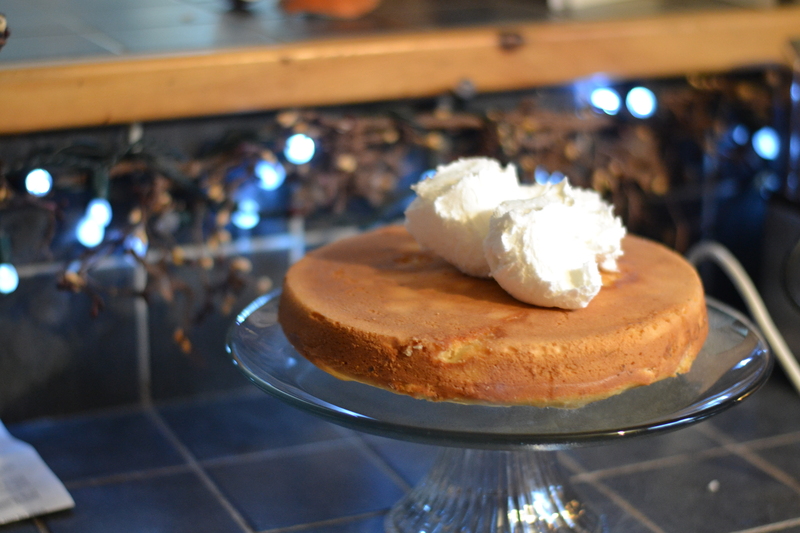 Alternate icing sugar and milk, until you have a nice, rich buttercream. If it seems to runny, add more icing sugar. If it’s too thick, add some more milk. Again. Super easy. Frost cake as you wish! 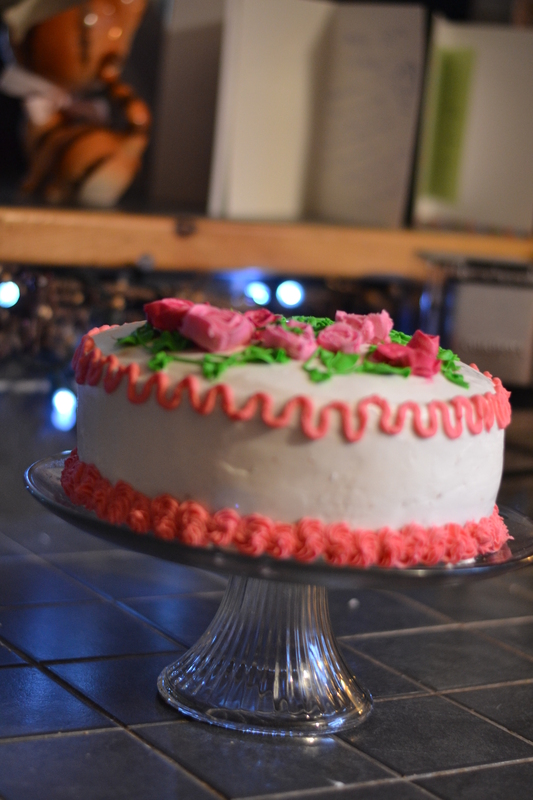 (With ALL the icing!) Or leave some in the bowl to eat as a snack. You will need a glass of milk. To the kids! 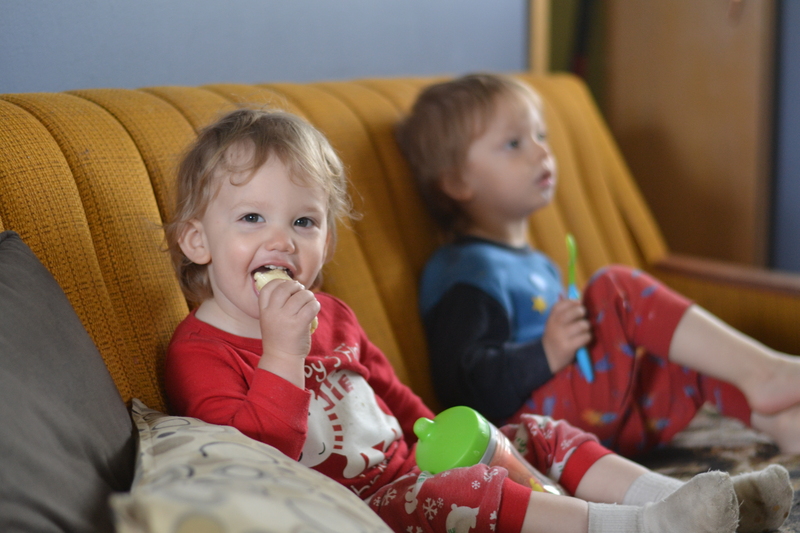 I couldn’t post after almost a year and not include some kids pictures, so here they be! Briar. Growing up so much! [Another] Wedding Cake, a Gorgeous Bride, and Some Cute Boys. So. As I can’t seem to post regularly, let’s just get to the point and say… I cannot post regularly. It seems an impossibility. And that’s alright. I was thinking today, one of the main reasons I started this blog, was to feel like I still had something to do and say other than babies. It was right after Cael was born, I had just finished university, and my life had made a drastic change from university and work… to everything baby. This blog kept me sane. And while I still love it, and it might become a sanity-thing for me again in the future, right now it’s just a thing I do when I feel like it. No pressure. Anyhow. That was my HUGE realization of the day, after feeling bad (once again), for not posting. Ever. But here’s how I make it up to you. With wedding cakes, wedding pictures, and the cutest boys ever! Oh. And some wonderful news! Baby numero three will be joining us early November! That was worth waiting for, eh? On to the cake. This was for one of my best friends ever. And she had free-reign over what kind of cake she could have. Obviously. She was the bride. But this was epic. For me anyway. Three-tiered goodness. Chocolate cake sandwiched with peanut butter cream cheese frosting. 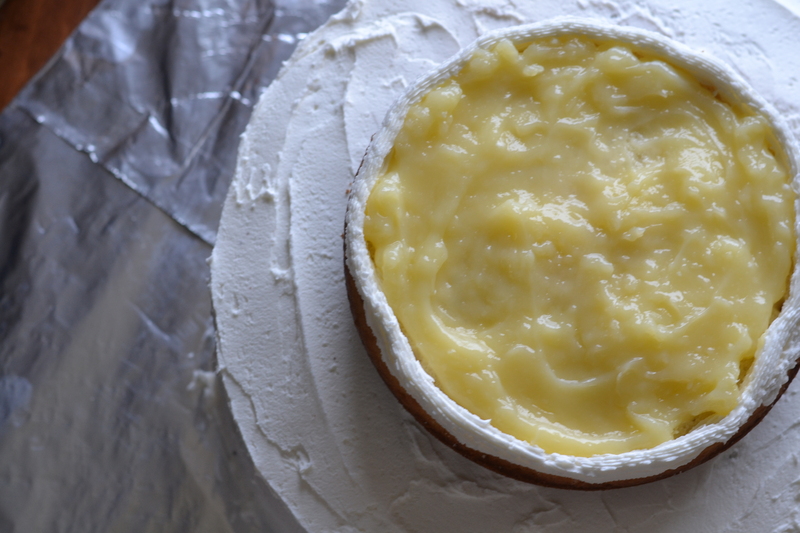 Followed by white cake with a lemon curd filling. And topped with white on white. All completely covered in white and daisies. Super cute, super yummy. What more could you want? Really. Another cool this about this wedding was that I got to travel to a warmer place. All the way to North Carolina. Which was pretty cool. Actually, it was wonderfully warm. Especially since it hasn’t gone over 10C here in weeks (except for that one random day). 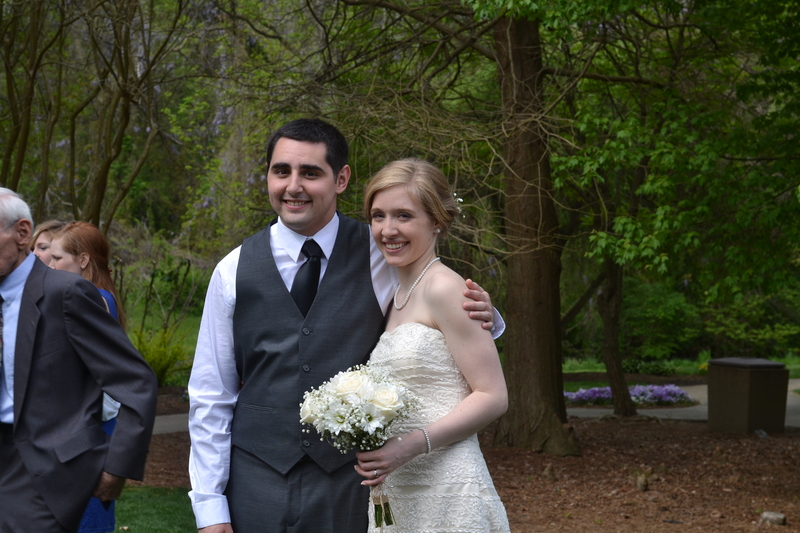 Sarah was a beautiful bride in her lovely lace dress. So gorgeous. 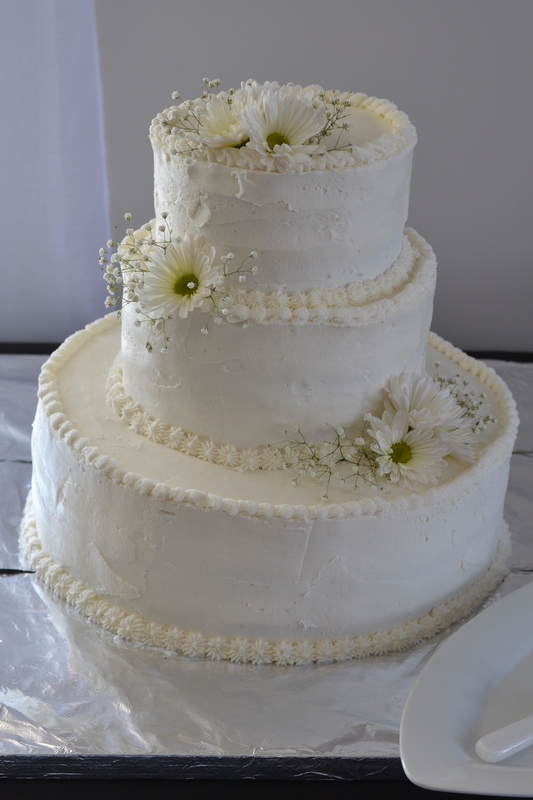 Got to meet up with another best friend that I hadn’t seen in quite awhile (you’ll remember her from this wedding cake). Which was super great. Super duper great. Since then, we’ve had my birthday, a trip to the zoo, and rain. 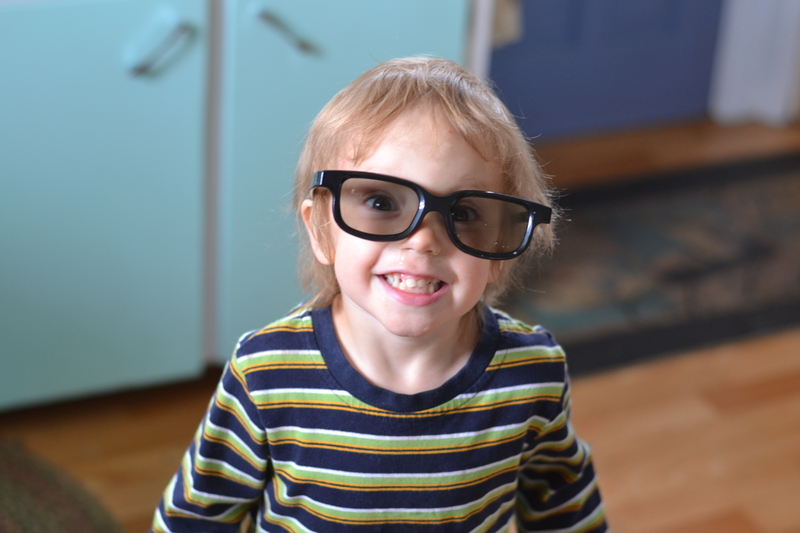 Cael found the 3D glasses from a movie. Bug eyes. Jude eating breakfast like a champion. And that’s that! Maybe next time I’ll have some belly pictures and a recipe for ya! That’d be nice, eh? Maybe. Here’s to hoping. Ever get sick of cake? 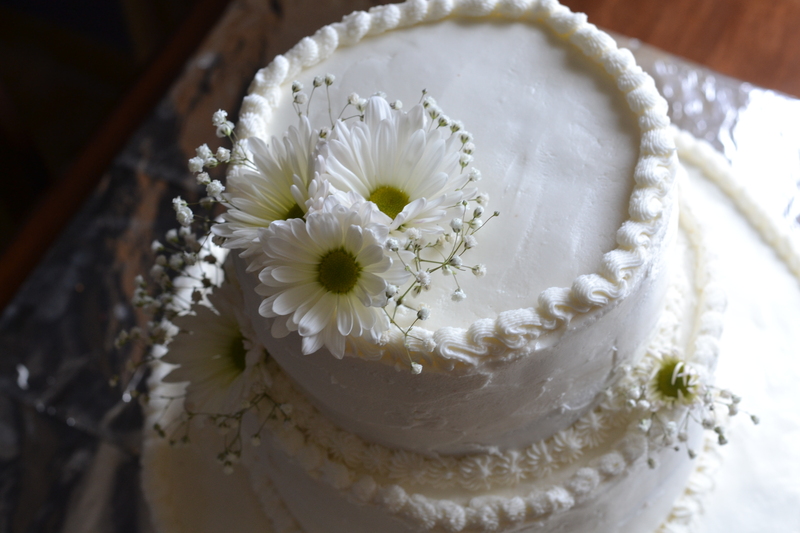 Add another, layer, smoother on the frosting, and smooth it out. Voila! Next step accomplished! Finally, the moment you’ve all been waiting for – here’s the finished product! Want a close up of those roses? Not near as good as my teacher (my grandmother), but still pretty snazzy I think! 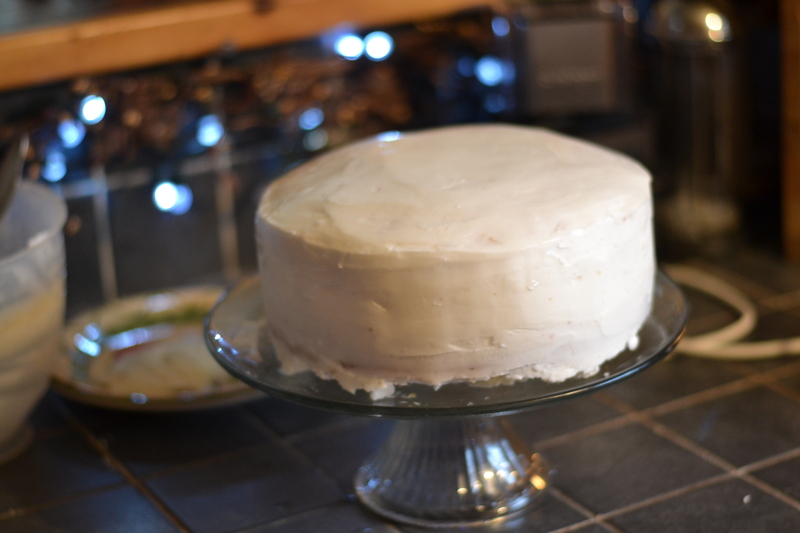 I made a white cake (family recipe) and just regular icing. Just beat all of these ingredients together. If it’s too thick, add more liquid. If it’s too runny, add more icing sugar. Easy as pie (or cake… haha)! This is a great recipe for decorating with. Just add food colour to change it to whatever colour your heart desires (or your cake is in need of). I LOVE to decorate cakes. I don’t do it often enough (therefore don’t get enough practice), and have a tendency to go too fast, but they seem to turn out alright. I’d love to do it more often though. Anybody need a cake? Contact me. Those in the local area anyways. I have done a few different cakes. 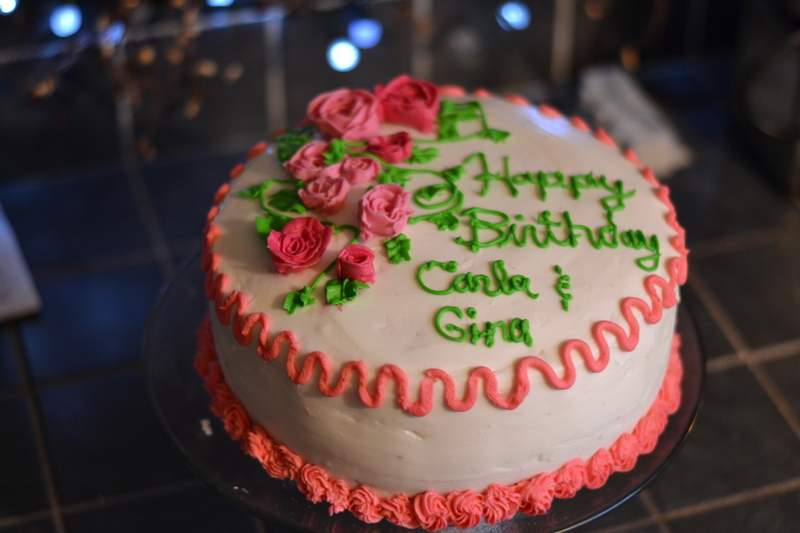 I’ll share some pictures of past cakes/cupcakes soon! There’s a story behind this. My grandmother has decorated cakes for a long time as a side-income. She was amazing at it. She made my birthday cakes for me from the time I was 1, until I was 17. Always sooo yummy, and always looked too good to eat. She’s since had a few medical problems, so she doesn’t do it anymore, but I’ve inherited a lot of her tools and her love for doing it. Food really should be an art, and this is one way to express that. 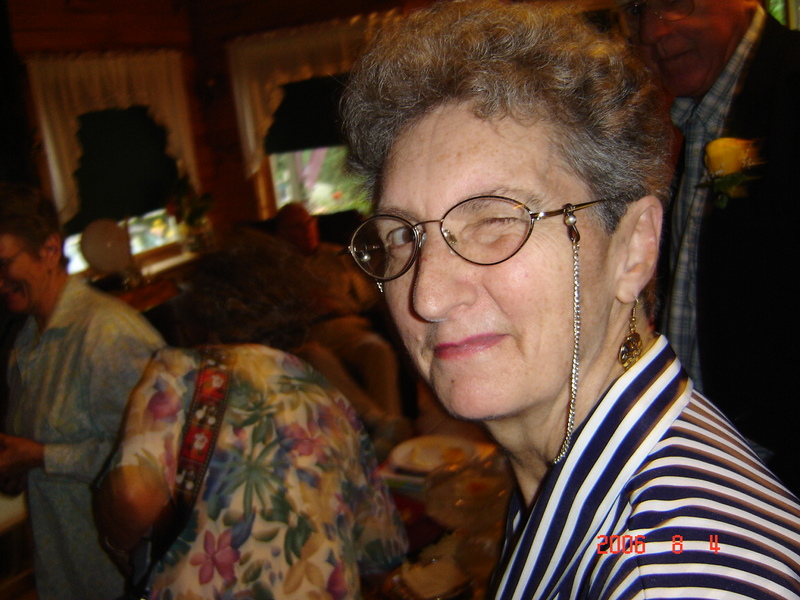 Meet my Nannie. She’s the best. Random, yes. 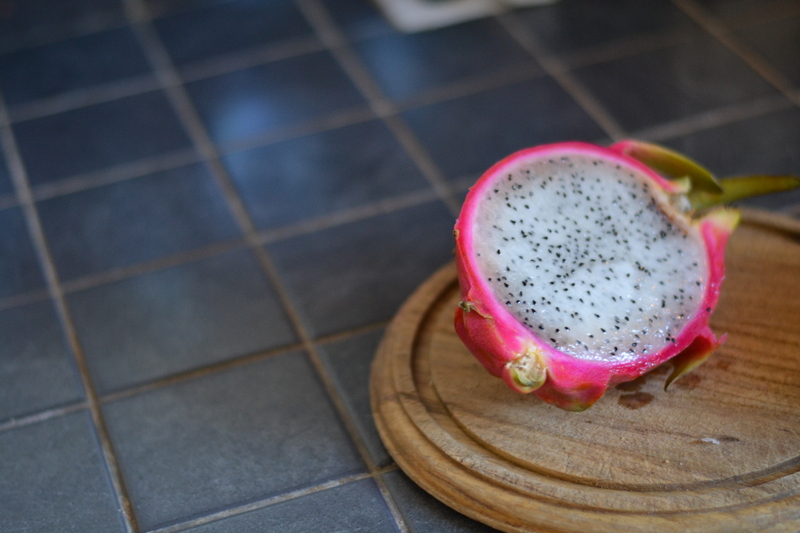 But have you ever tried a dragon fruit? They’re pretty good. Kind of like a mild kiwi. Not to mention, they look gorgeous. I just couldn’t let this photo opportunity pass. Just a question… Do you need something sweet after a meal? Always seem to? I do.